SelectHub is real people helping you find the best CRM software for your unique business needs while recognizing the true Customer Relationship Management systems leaders who help make your decisions possible. CRM software is a crucial element of managing your sales process and improving both conversion and retention rates. CRM software (CRM stands for Customer Relationship Management) does exactly what it sounds like — it manages your organization’s relationships with your customers. It typically involves elements of marketing automation, sales force automation, client management and customer service. In this guide to CRM solutions, you will find a crash course in selecting the perfect CRM for your business. We begin with some information about the CRM market and break down market share so you have some background knowledge about the field. Then you’ll learn the basics and benefits of CRM and find out which features are absolutely crucial. We’ll also help you discover which features your specific organization requires in a CRM platform. Once you’ve gone through the basics, we’ll give you unique and powerful tools to compare a shortlist of CRMs from a variety of vendors to make sure you’re making empowered software decisions. Many CRM pundits would tell you the CRM system market is increasingly dominated by a small number of large vendors. However, research suggests otherwise. The most recent CRM Market Share Report from Gartner demonstrates that the collective market share among the biggest CRM companies is declining and that a number of emerging CRM publishers are stepping up and taking market share away from the old guard. This market share redistribution trend is driven by both innovative CRM solutions and CRM buyers who have altered their CRM software selection criteria. The CRM market is a 24-year-old software industry, putting it somewhere between mature and commoditized. CRM products have reached a certain stage of parity in terms of marketing, sales and service technology enablement. Customers now seek new and different CRM capabilities. There is no such thing as a one-size-fits-all CRM software solution. Small and midsize businesses (SMBs) generally have more intimate relationships with their customers and manage a higher volume of interactions and activities for each customer. SMBs desire a feature-rich customer management software but without the bloat that adds administration and overhead. Enterprise customers need more sophisticated security models, collaboration apps and platform tools. Small businesses are also much more agile than large organizations, and therefore need a CRM system that can more swiftly accommodate movement and change. Whether altering how data rolls up, modifying CRM forms, changing business process automation or creating new information reporting, small businesses need the ability to adjust their CRM software system without reliance on technical or IT resources. On the flip side, enterprise customers need software flexibility that accommodates changes to territory management, revised sales plans, complex forecasting and more sophisticated data management and system integration. Improving user productivity is a common objective for CRM buyers. CRM tools that reduce keystrokes, logically sequence process steps, trigger next steps or reminders, use workflow to automate business processes, deliver alert notifications and offer simple desktop integration support improvements in user productivity. The most modern CRM systems have adopted consumer technologies in order to reduce learning curves and deliver a more rewarding user experience. These user interfaces leverage more white space, less clutter, guided behaviors and embedded analytics. They also offer more one-click options, such as Quick Create functions or traceability to previously viewed records or transactions. CX management is a strategic customer strategy supported by forward-thinking CRM publishers. Customers are more connected and informed, and businesses must have the tools to connect with customer audiences in relevant, personalized and contextual ways. The customer record in a CRM should be stored as a central customer profile. Users can manage all customer data from any channel or device the customer chooses to interact with their providers. CRM systems have evolved from departmental applications to enterprise suites. Leading CRM providers have gone a step further by building their CRMs on powerful platforms. These platform solutions offer broader company support and extensibility. They may also offer third-party ecosystems, such as app stores or integrated third-party solutions from popular independent software vendors (ISVs), which further accelerates deployment cycles, reduces custom integration and eases future upgrades. CRM software pricing varies widely despite near feature set parity among competing solutions. This is most evident with CRM market share leaders who leverage their brand to justify price premiums. However, as the CRM market continues to mature price premiums will erode. Also, CRM buyers must apply diligence to understand the unintended financial consequences of version upgrades, add-on capabilities and needed services. CRM buyers favor inclusive pricing without gimmicks and with no surprises. Some even offer basic open source CRM packages to get users started with the system and then offer paid packages later on when their needs become more substantial. It’s important to start any CRM tool selection with CRM implementation strategy. Installing client management software with a poor CRM program strategy, or even no strategy, is the number one reason for lagging CRM adoption, low CRM software utilization and overall project failure. Keep in mind that CRM management is not a software application. It’s a business strategy aimed at growing mutually rewarding and profitable customer relationships. Streamlining and improving the customer’s relationship with your organization is the first and foremost concern of CRM software. From lead generation capabilities that target the perfect clients for your business to sophisticated ticketing and support services, CRM has you covered. Users can increase the efficiency of marketing campaigns, sales reps and nurturing efforts through a single system when they fully utilize their CRM product. Users can leverage complete control over their sales pipeline to nurture leads like they’ve never been nurtured before. From attracting the right leads to contacting them at the perfect moment, marketing teams, sales reps and managers can collaborate for a winning sales strategy that will keep customers coming back. Customer relationship management (CRM) software provides many benefits to a business, from making the sales department more productive to building customer retention. CRM applications are widely used, with Gartner projecting the market at $23.9 billion and proclaiming it "the heart of digital initiatives." A sales CRM system handles many critical processes for your business, especially in the sales department. Therefore, CRM software selection requires researching, sourcing, validating and performing due diligence before you sign a contract. Contact management is the entire point of a CRM, so this requirement revolves around making sure the contact handling is sufficient for your current work processes. CRM software may have email auto-response integration and follow-up reminders, along with the ability to display key information on each lead. This feature shows a visual representation of the sales pipeline, as well as where all contacted leads are in their customer journey. The CRM's reporting feature can cover everything from sales figures to marketing ROI. These reports provide concrete data essential for optimizing sales and marketing efforts, identifying poor performing areas and revealing response rates. This analytical tool parses historical and big data to make predictions on sales and marketing team collaboration. It can identify the optimal times to contact leads, which lead demographics are likely to convert at different parts of the customer journey and other useful business intelligence. This is another critical CRM function that allows your sales department to nurture leads, qualify leads and use a lead scoring system to determine the priority of contacts. Sales and marketing work hand-in-hand, so creating a closer relationship helps to optimize both departments. Many CRM solutions integrate with popular marketing automation tools for a seamless experience. Helps automate tasks like inventory control, sales processing, monitoring customer interactions, providing sales forecasts and performance analysis. The Software as a Service (SaaS) cloud model for CRM provides many advantages for companies, including reduced upfront and maintenance costs. However, on-premise solutions don't rely on vendors, avoid potential network latency and may offer better data security. Mobile CRM access is useful for sales staff in the field, allowing them to access critical lead information and make lead contact notes directly through a smartphone or tablet. Social media provide many data points on potential leads, but not all CRM systems integrate this data into the lead's contact notes. More CRM features for your consideration are available in this CRM Features List. Once you identify your CRM requirements, you can arrange your shortlist by priority. 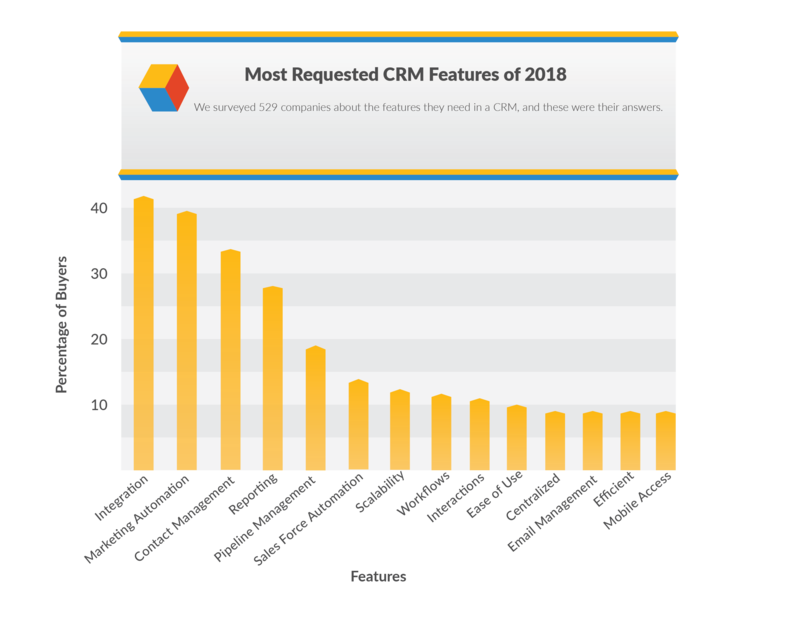 While some solutions offer everything on the CRM features list and then some, they won't necessarily be the right solution for your business. Look through available content on the CRM vendor's website, social media channels and industry authority websites to determine whether it passes the first impression test. Your CRM should be able to import and export information directly (and instantly) from other sources like email, websites, call logs and customer service tickets. Eliminate data duplication, reduce the amount of menial repetitive tasks your employees have to do and streamline the experience for your customers and employees alike. This software automates repetitive marketing tasks like scheduling batch emails and lead segmenting. This feature increases organization-wide efficiency and streamlines the workflows and collaboration of marketing and sales teams. This feature syncs customer data from websites, email or other software to populate customizable fields within the CRM database. Users can keep all customer information together for sales targeting, customer service and other nurturing activities. Reporting CRM functionality allows users to view snapshots of individual activities within their business. By identifying specific points of contention, managers can put plans into action to solve them. Sales pipeline management offers users an overall view of the customer lifecycle with your brand. Leads are segmented based on where they are in the pipeline and can be nurtured accordingly. This reduces mistimed opportunities, weeds out under-qualified leads and streamlines the customer lifecycle. We can’t just give you a CRM software list with the best and worst in the industry — it doesn’t work that way. Each business is different and has different CRM software product needs. One way to begin you search it to talk to your colleagues and industry contacts about what CRM app they use. Get recommendations from clients following your social media channels and ask LinkedIn groups what they think about your prospective selections. You may learn about the benefits of CRM systems you didn't know the solutions offered or hear horror stories that drive you away. For a more data-driven approach, consider our in-depth CRM comparison matrix. Users can compare CRM software vendors based on how well our analyst team scored them for different features. For a really meaningful CRM software comparison, get them broken out into a full CRM evaluation report like the one our analysts have compiled. Now it’s time to get down to business and choose a vendor for your very own CRM software. To start, you should conduct business case analyses to determine which system is the most advantageous. You have a few ways to conduct this analysis, depending on your needs. For example, some companies focus on the total cost of ownership, while others want to know how well the system improves sales ROI. Vendor viability is a critical part of the decision process, especially if you're using a cloud-based solution. How long has the vendor been around? Does it have clients that are similar in size to your business? How responsive is its support? Ask for references, and cast a net across your professional network to see who else has used the vendor. Determine whether the use cases the other companies worked with are close to your own. Is this solution flexible enough to meet your organization’s needs? Which relationships and workflows do you need to manage? Is this solution scalable? Do you need it to be? Will an out-of-the-box solution do, or will you need a custom CRM? Will you need to integrate your CRM with other software, like ERP? What is the long-term viability of the vendors you are considering? Will they be around in five years to continue providing support? Is on-premise or cloud-based deployment better for your organization? How much customer support will they offer you? Does it come at an extra charge? How often are updates and enhancements offered? Does this impact the accessibility of the system? How well will this CRM integrate with other software like BI tools? What security and redundancy protocols does this vendor take to protect your data? Does this vendor offer industry-specific CRM? How is this CRM deployed? Do they offer any transition and setup services? Does this vendor have a proven track record of successful client relationship management? Is CRM this vendor’s main priority? What features will cost extra? Does this vendor specialize in CRM for small business, mid-sized organizations or enterprises? A CRM solution streamlines critical parts of your sales process, enabling you to stay on top of customer relationship building, lead management and lead follow-up in an organized manner. It allows marketing teams to create targeted, personalized content delivered at critical stages in a customer’s journey. CRMs improve communication, collaboration, efficiency and overall effectiveness of marketing efforts. The right CRM process provides you with countless benefits, so it's important to do your due diligence and get exactly what you need for your company. Get an all-in-one CRM, sales and marketing tool that fits the needs of your business. LeadMaster CRM can work together with your sales team to deliver your ultimate objective – more sales for your business. Whenever your team has any interaction with a lead or a customer, they will have all the information that they need at their fingertips – past orders, contact information, proposal details, social information etc. LeadMaster makes your sales team more efficient than ever before. Bpm’online CRM is the most agile CRM platform for midsize and large enterprises to accelerate sales, marketing, service and operations. This platform helps to align data, processes, and teams enabling them to better connect with digital native customers and rapidly adapt. Bpm’online provides its customers with comprehensive full-fledge applications to accelerate marketing, sales and service that can be deployed as standalone products, or as a bundle on a single CRM platform.Bpm’online marketing: multichannel marketing platform to orchestrate customer journeys and accelerate lead-to-revenue.Bpm’online sales: sales automation software to accelerate the complete sales cycle — from lead to repeat sales.Bpm’online service: intelligent service management platform to accelerate service delivery and customer delight. Oracle Engagement Cloud is a customer relationship management platform equipped with artificial intelligence. It is a cloud-based solution, best suited for small and midsize businesses. It offers many productivity features like voice-activated mobile interfaces, automated assignment and distribution of leads, and activity management tools directly from the email.Its distinctive features include sales force automation, sales performance management, partner relationship management, social collaboration, adaptive intelligence and customer data enrichment. NetSuite Customer Relationship Management (CRM) software is the only cloud solution that delivers a real-time 360-degree view of your customer. NetSuite CRM provides a seamless flow of information across the entire customer lifecycle from lead through to opportunity, sales order, fulfillment, renewal, upsell, cross-sell, and support.In addition to traditional CRM capabilities like SFA, customer support and marketing automation, NetSuite CRM delivers quotes, order management, commissions, sales forecasting and integrated Ecommerce capabilities. Base is the #1 rated CRM and sales mobile app in the iOS and Android stores, with more than a quarter of a million app downloads. Copper is the No.1 crm for G Suite and the only crm recommended by Google. It works instantly through a seamless integration with G Suite, has a beautiful user experience, and is designed to help teams and businesses build long-lasting relationships. Copper services more than 12,000 paid businesses in more than 110 countries. Headquartered in San Francisco with over 200 employees, the company has raised $87M in venture capital financing to date from Google Ventures, Norwest Venture Partners, NextWorld Capital, True Ventures, and Industry Ventures. Shape's cloud-based software helps you grow and manage your company with tools designed to manage online marketing and promotions, capture leads from online sources, organize sales pipelines, connect with customers. and automate everyday tasks. Shape’s features are tailor-made to solve your unique industry challenges with verticals in legal, real estate, mortgage, insurance, education, hvac, and construction. Looking for something one of a kind? Get a custom solution that works for you – we specialize in tailor-made and white label systems.Explore Shape's collaboration tools that facilitate project information sharing within and across departments and user roles. Create order with a centralized repository to store all of your prospects, accounts, contacts, documents, photos, billing and transactions, and eSignature agreements in one place.With a full suite of all-inclusive pre-built tools at your disposal you can focus on scaling your business without adding to your workload. Keep track of the department-specific performance indicators and explore business-relevant trends with Shape's customizable dashboard. Additional features include call scripting, drip campaign automation, task scheduling, reporting, and integration with Outlook and Gmail. Shape is available on a per user per month subscription with no annual contracts and offers customer support via an online knowledge-base, phone, and email. The intuitive CRM Sales Management tool for small medium sized businesses. Use TeamGram to boost your sales. Manage your sales pipeline, keep track of your customer interactions and never let a deal fall through the cracks. Sell smarter with TeamGram: Get leads from web forms, email, phone calls. Qualify and convert leads easily Instantly access every interaction with your customers Make sure your team will never miss a deadline or forget a critical task. Work faster by automating time-consuming tasks to give your sales team more time to engage with customers. Customize your CRM, make it work your way. MyCRMDashboard from Continuity Programs is a cloud-based customer relationship management (CRM) solution designed for the residential mortgage industry. The SaaS solution includes automated marketing based on 45 years of experience in the industry.MyCRMDashboard includes automated marketing on behalf of loan officers to their prospects, referral partners and borrowers. All leads generated are exclusive to the LO. The CRM keeps track of clients’ mortgage needs and sends notifications to LOs whenever their client needs a new mortgage or has a referral. Client satisfaction surveys with Net Promoter Score are built in, along with executive reporting. The surveys also generate testimonials that clients can share on social media. The ClientTracker feature generates leads for pre-approvals and new mortgages. The CRM is also connected to a custom online storefront for the lender, where approved postcards, flyers and emails are set up for LOs to send.  It offers a monthly subscription-based pricing and provides support via phone, email and live chat. A new approach to CRM - proactive relationship management - that helps sales teams work smarter and close more deals.Spiro is a proactive relationship management platform that automatically creates contacts, organizes and prioritizes opportunities, and proactively recommends next steps to move all your team's deals forward. Spiro takes the work out of sales and provides managers with intelligent sales reports that help turn their sales team into a sales machine. Salsa CRM helps nonprofits build rich supporter profiles, track every donation interaction, create direct mail fundraising appeals, and easily report with fundraising dashboards and flexible query tool. All packages include Salsa Engage for marketing automation, online fundraising, online advocacy and peer to peer fundraising. 2017 NTEN/Idealware guide ranks Salsa CRM as top 3 platform with 'Strong functionality in every category.' Clients average 28% YOY donation growth, 74% donor retention. Vivantio ITSM is service management software that meets the demands of any service team across your entire organization.The flexibility and configurability of Vivantio enables organizations to centralize service management and customer service processes across multiple departments into a single scalable solution. By centralizing service management operations, you can reduce licensing costs, improve inter-departmental efficiencies, share knowledge and centralize management reporting.Vivantio powers customer service in IT, HR, Facilities Management, Finance and other departments across entire organizations. SalesOutlook is a unique and comprehensive CRM Email Marketing System that was developed from the ground up to be fully embedded into the folder structure of Microsoft Outlook. This system is the first of its kind, and was designed to combine the functionality of a CRM system with the user-friendly aspects and familiarity of Microsoft Outlook. SalesOutlook CRM can be implemented within minutes and automatically syncs all customer data with MS Exchange. All files and email correspondence are saved to the contact's profile. Sugar is the CRM for mavericks and innovative, forward-thinking change agents who dare to be different. It appeals to companies that question the status quo and view Sugar as the chance to find a better way to grow their business and help their employees do their jobs better. SugarCRM is the industry's leading company focused exclusively on customer relationship management, and FayeBSG is SugarCRM's #1 Worldwide Partner. Over 7,500 customers have chosen SugarCRM services as an alternative to lock-in based, proprietary customer relationship software. Going above and beyond basic CRM, Sugar will help you understand who your customers are and how your company is performing. Sugar enables businesses to create extraordinary customer relationships with the most innovative and affordable customer relationship management solution on the market. By placing the individual at the center of its solution, SugarCRM is putting the “i” in CRM and empowering people at all levels of an organization to better understand and engage with customers. Based in Silicon Valley, SugarCRM is backed by Goldman Sachs, Draper Fisher Jurvetson, NEA, and Walden International. More than 1.5M individuals in over 120 countries rely on SugarCRM. Bloomerang’s powerful donor management software combines the knowledge of world-renowned fundraising professor Adrian Sargeant, communications best practices of author and speaker Tom Ahern, digital marketing insights from trusted thought-leader Kivi Leroux Miller, and the technical expertise of industry veteran Jay Love.We focus on the core of constituent relationship management – the functionality that fundraisers use the most – and do not mess around with superficial bells and whistles that look good on paper, but ultimately distract from what you need to succeed.We’re built to help you succeed. PipelineDeals is the first sales productivity platform to combine sales engagement and Customer Relationship Management (CRM) in one easy-to-use application. We make your sales process as organized and efficient as possible. Email your contacts, qualify leads, and get organized so you can spend more time closing! Over 17,000 salespeople use PipelineDeals to manage their sales. The simplest way to organize your sales team and grow your sales pipeline. PipelineDeals offers a streamlined set-up process that you can literally complete in just minutes. Mothernode CRM is a dynamic, highly expandable system which scales based on a company’s specific business and customer needs.The highly configurable application can be set up to align with a business’s industry, customer requirements and more. As SMBs grow into themselves, additional features and editions can be integrated for continued operations with a boosted level of functionality.No other CRM within Mothernode's class offers the same number of capabilities that are present in this system. With such a high degree features-to-price ratio, SMBs can take full advantage of a robust set of modules without overextending their budgets. Customer Relationship Management tools are a driving force for a business. Infor CRM software helps to deliver outcomes on indicators like customer loyalty, customer attention and customer satisfaction. Infor CRM helps salespeople and others to perfect each point of communication with a particular customer throughout his or her relationship with the business. BroadPoint is an award-winning, Gold-Certified Microsoft CRM and ERP partner with nearly two decades of experience implementing technology solutions for nonprofits and commercial companies. From day one, our team of passionate, seasoned consultants has been focused on one thing: helping our clients focus on their mission by designing and implementing great technology solutions. After gaining a deep understanding of your organization, we design and implement an integrated solution to fit your unique needs. BroadPoint’s experience and proven project management methodology ensures an on-time, and on-budget deployment of your solution. Learn more at www.broadpoint.net. Is your organization full of fast-moving sales, marketing and service leaders? Microsoft Dynamics CRM provides the tools to enhance sales, marketing and customer service processes and is designed to complement how and where your people work. At the same time, Microsoft Dynamics CRM can operate as a platform to help your organization manage all the moving parts. Thousands of nonprofits use DonorPerfect to organize constituent data in one unified database. With one central database, everyone in your organization will be working with the same information in real time. It has easy to use constituent relationship management tools for making smarter, timelier decisions that help nonprofits raise more money. Two nonprofits, NTEN and Idealware, gave DonorPerfect the more 'excellent' ratings in their donor management systems’ report than any other software. Engage your customers in more meaningful ways with SAP Hybris Cloud for Customer. This cloud CRM portfolio brings sales, customer service, and social CRM together – to help your team form powerful personal connections that drive customer engagement across all channels. Take advantage of rich predictive insight, flawless execution and contextual customer experience relevant to your industry. Sugar CRM Innovation,Flexibility,Value Sugar CRM is the first world publisher of open source commercial solutions of customer relationship management. It allows companies to develop and easily integrate their client process while maintaining and developing even more profitable customer relationships.SalesforceSales, Service Marketing, Succes Completely web-based and integrated, with over 87,000 success stories, salesforce has a strong presence everywhere.Microsoft Dynamics CRMDrive sales productivity and deliver amazing customer experiencesMicrosoft Dynamics business solutions energize and empower customer engagement with real-time information and collaboration. As the world grows smaller and more complicated, technology plays an important role and enables individuals to drive their vision while also helping organizations to manage their end-to-end business processes.Oracle Sales Cloud Sell More Anytime-Anywhere-Any Device “Mobile first” is a great way to define this very powerful system which integrates extraordinarily well with Microsoft Outlook, as well as the Eloqua marketing automation tool, acquired by Oracle in 2013.Act-OnMarketing Simplified – Revenue Multiplied.Act-On is a software-as-a-service, cloud-based marketing automation solution. Its platform is purpose-built to give small and medium-sized marketing teams all the value of marketing automation – without the complexity big enterprise systems impose. Chime is a powerful lead generation and CRM solution for real estate professionals. It solves all of the pain points most agents struggle with on a daily basis. Our suite of tools enables agents to launch marketing campaigns, track leads’ activities, build customer relationships, and seamlessly manage teams, across multiple devices. By streamlining all their operations from end-to-end, Chime allows agents to focus on what really matters—boosting their business. Claritysoft is a cloud-based customer relationship management (CRM) solution designed for midsize and large enterprise businesses. It offers sales automation, customer service and support, marketing automation and social CRM within a single solution. Key features include account management, activity management, calendar management and pipeline management. Claritysoft CRM is an all-in-one CRM platform for sales, marketing and customer service. Our unique blend of flexibility and functionality lets you custom fit our powerful feature set into exact-fit screens to meet the needs of every user type in your organization. Designed for usability, Claritysoft CRM delivers the right amount of functionality in a clean and easy to use interface.With Claritysoft CRM you get world class integration capabilities with an open API plus out-of-the-box Outlook, Gmail and Zapier integration. You also get valuable insight through extensive dashboard and reporting capabilities. An exceptional value, Claritysoft delivers a powerful feature set that’s built to eliminate complexity and drive performance. SalesNOW is the Mobile Online CRM that your sales team will love!! Our award-winning CRM is designed to make you and your sales team significantly more productive, whether you run a small business or an enterprise sales team. And best of all, our SalesNOW Success Team will work with you to configure SalesNOW to best meet your business needs, import your data, train your team - all at no charge. And then we'll give you 30 days to put SalesNOW to the test. Phone email support is always free. JobNimbus is CRM and Project Management Software wrapped up in one application. With JobNimbus, you can manage contacts, jobs, and tasks from a single, simplified interface. Because JobNimbus is cloud-based, you can access your information wherever you are, get everyone on the same page, and grow your business.With a proven design and state-of-the-art technology, JobNimbus is built to be the simplest and fastest of its kind. MyLeadDashboard from Continuity Programs is a cloud-based automated marketing solution for the residential real estate industry. The platform offers built-in customer relationship management (CRM) tools, real-time reporting and lead generation. It includes automated client follow-up and prospecting programs.A secure data feed can be set up to manage agent data entry. Agents have the ability to opt-out any client from the follow-up program. Print and email touch points include personalized URLs for lead generation. Agents can also sign up to have their company’s approved Just Listed and Just Sold mailings sent automatically.Repeat business, referrals, reviews and testimonials can be generated through marketing campaign features. MyLeadDashboard also measures client satisfaction and the company’s net promoter score. MyLeadDashboard comes with a configurable online storefront, and approved postcards, flyers and emails can be set up for agents to send.MyLeadDashboard is available with monthly subscription-based pricing (plus price per client enrolled) and provides support via phone, email and live chat. Kloudville’s go-to-market strategy is to help run any business of any size with a complete and comprehensive set of Business Applications (Business 360 Apps) that offers full operational management capabilities. Kloudville Business 360 Apps provides an Omni-channel, Enterprise grade, Digital commerce platform that brings together all key facets of e-CRM, e-commerce and ERP functions under a SaaS platform (“the Kloudville platform”). The Kloudville Platform is scalable (as the growth demands), secure and maintenance-free. Kloudville’s cloud-based business- process-centric environment supports any business context operations engaged in buying and selling of goods and services. See the Price/User for the top CRM software… plus the most important considerations and questions to ask when shopping for CRM software.